crossed with a psychotic nightmare. I love it!" Click The Audio Player Above! Suffering from what appears to be bizarre hallucinations, Julian Torres contacts a beautiful parapsychologist and uncovers an unprecedented paranormal event they refer to as the Fury. The solution they seek seems to be within a high tech prototype device called the G.A.R.D.E.N, a theoretical poltergeist buster. Acquiring the mysterious device proves more daunting than Julian's new friends expect as a vengeful stalker turns their task into an unexpected game of death. Yet, their conflict pales in comparison to the epic battle for survival that awaits Julian as he confronts the malevolent Fury in the Garden. Or download the FREE Kindle App and eBook Kindle it! Only $5.95! Seen by millions with bizarre frequency, the number 1111 appears to defy mere chance or coincidence. A negative foreboding? A positive time prompt? A meaningless event? There are many theories. 11:11 Phenomena taps into the intriguing possibilities with four compelling short stories to place You into the mysterious 1111 cosmic puzzle. Will the final truth of the 1111 enigma ever be revealed? Now Available for only $9.95 - Click on the Book to Order! OR eBook Kindle it! Only $4.95! The struggles and angst of a young heart, the moment of a lifetime lost in the past, illusion and our transforming world. A variety of new word dance awaits in this book of poems. By Ken Tyndall, Frances King, and John Pagan. * Inexpensive Drawing Aids -- A certain child's Item can have you drawing in minutes, the first day you begin to use it! * How To use simple comic book style drawings as a step to sketches with greater detail. * Practice Sheets, Detailed Full-Color Examples, "Dot-By-Dot" Drawing Pages, "Trace" pages, and More! Unleash the Michaelangelo in You, Available Now! AVAILABLE NOW!!! 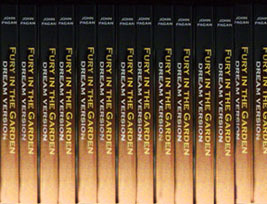 Order right away, the first five hundred books signed by the author. Order Books will not be sold in stores but directly from the publisher. 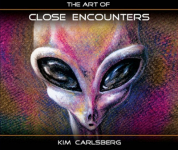 The Art Of Close Encounters: 352 Page 4/Color, Hard Cover With Jacket Wrap, 9.5" x 8" Landscape Fine Art Coffee Table Book compiling 150 individual "encounter experiences". Every unique story page is accompanied by a powerful piece of artwork. Please consider The Art Of Close Encounters as a gift to anyone you know with an interest in the most provocative subject of our time, or to those you would like to share this information with in an easy to comprehend presentation: as we all know... a picture is worth a thousand words. Author Talbot writes that ". . . there is evidence to suggest that our world and everything in it. . . are also only ghostly images, projections from a level of reality so beyond our own it is literally beyond both space and time." Hence, the title of his book. Beginning with the work of physicist David Bohm and neurophysiologist Karl Pribram, both of whom independently arrived at holographic theories or models of the universe, Talbot explains in clear terms the theory and physics of holography and its application, both in science and in explanation of the paranormal and psychic. His theory of reality accommodates this latest thinking in physics as well as many unresolved mind-body questions. This well-written and fascinating study is recommended for science collections. - Hilary D. Burton, Lawrence Livermore National Lab., Livermore, Cal. To watch Bruce Lee on film is an amazing experience. Those who have read Tao of Jeet Kune Do, however, know that Lee's prose can also be exhilarating. This praiseworthy and enduring bestseller (mainly written over six months when Lee was bedridden with back problems) compiles philosophical aphorisms, explanations on technique, and sketches by the master himself. This is Bruce Lee’s treatise on his martial art, jeet kune do. This international best seller includes the philosophy of jeet kune do, mental and physical training, martial qualities, attack, and strategy. BEST SELLER! For the first time ever, over five dozen top-secret military,government, intelligence and corporate witnesses to secret projects tell their true stories which disclose the greatest covert program in world history. This explosive testimony by actual government insiders proves that UFOs are real, that some are of extraterrestrial origin and that super-secret programs have energy and propulsion technologies that will enable humanity to begin a new civilization - a civilization without pollution, without poverty - a civilization capable of traveling among the stars. This is not just a story about UFOs, ETs and secret projects: It is the story of how 50 years of human evolution have been deferred and how these secret projects contain the real solution to the world energy crisis, the environmental crisis and world poverty. Originally published in 1980, High Treason remains one of the touchstone texts for many who are unconvinced that Lee Harvey Oswald acted alone in the 1963 assassination of John F. Kennedy. "Too many people have too much at stake to allow the truth to come out," cautions Livingstone, "even though it has been squeezed out drop by drop over the years. The cover-up is kept in place to this day by those with interests that are threatened by the truth of a political assassination."